Our mission is to provide quality service by preparing customized plans to reach your fitness goals and needs. We truly believe there is nothing that cannot be acheived if you have the mindset to acheive it. Even if at first you do not succeed, it does not mean that you are not ment to. Great things come with time and hard work. The true winners are the people who never give up and keep on trying even if perhaps all the odds are against them. Sometimes it is a hard road to go down by yourself. That is where we come in. My husband and I have each other to push and motivate one another. We are a team and we rise together and fall together. Having a trainer who is there to keep you on track and motivate you when you need that something extra, can sometimes be the missing link to a goal. Knowledge is power. The more we can learn and share with others the better. We have started up our own small business which we hope to nurture and grow in the future. Email or message us for personal training or meal plans. I grew up playing all sports from basketball, soccer, volleyball, and cross country. After graduating high school I lost myself for a few years. Obstacle course racing got me back in the groove of things. After recovering from a serious back injury I decided to devote myself to doing what I love . I found bodybuilding and instantly fell in love with that form of training. I have a passion for fitness and love being in the gym everyday. It is a previledge to learn and share my knowledge with others. I am confident training for all different body types with various goals. Let me help you find something to be pationate about no matter what you are trying to achieve. Anything is possibly with the right mindset. 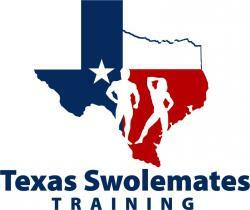 Email me at texas_swolemates@yahoo.com.